Having not lived through the era of the John F. Kennedy’s presidency I suspected that perhaps I wouldn’t get as much from Pablo Larrain’s Jackie as those who experienced it. Then again, perhaps I would be able to gain more through my blissful unawareness of the true impact and popularity of their years in power. What Jackie does so well is cater to all – those who are familiar with the details of the tragedy and those in blissful ignorance of this chapter of US history. Centred round an interview for Life magazine, the film jumps back and forth between the first lady’s earlier days in the White House and the chaotic week that followed the assassination of her husband. 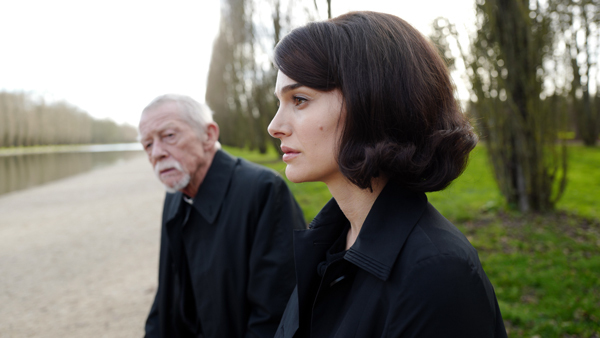 Jackie is a constant contradiction – cold and isolating to both the audience and the characters around her. 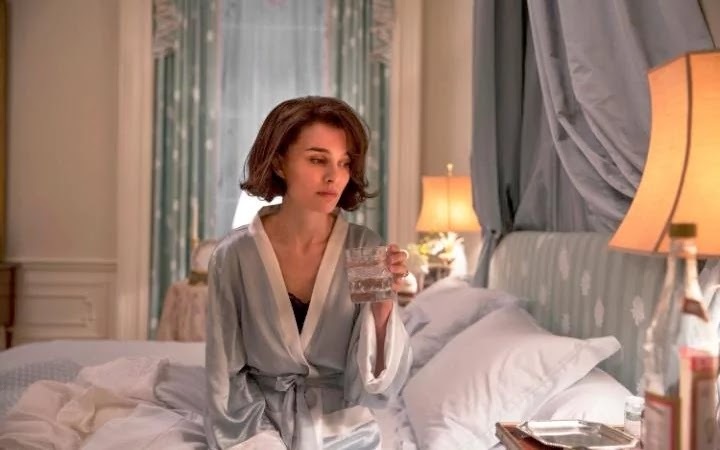 It’s only after digesting Jackie for a few days that I realised that it was less a matter of seeing her as a contradiction, and more about accepting her as contradicted. From the turbulent and instant aftermath of the shooting, to long walks in the coming days with a priest, Jackie is trying to fathom how she really feels and how she wants to act in contrast to how she feels she should appear to feel and act. 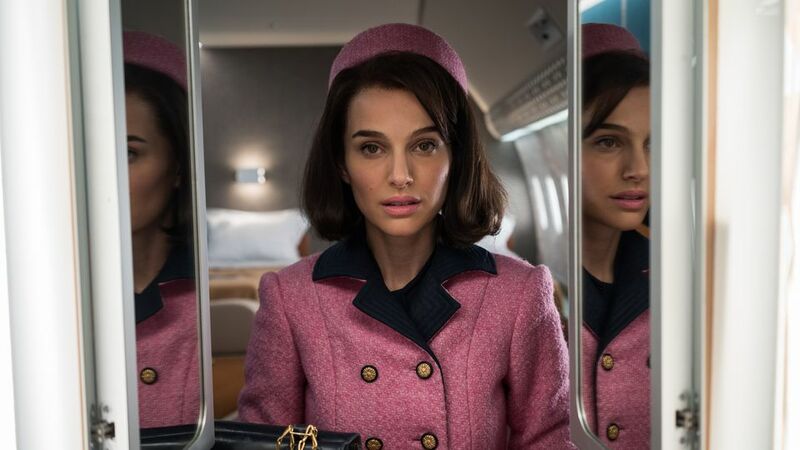 The bold director behind The Club, the innovative composer behind Under the Skin and the underrated talents of Natalie Portman all join forces to make Jackie the ambitious and admirable – albeit somewhat obscure – biopic of this year’s Academy Award season. It’s apparent that Portman has many obstacles facing her as you enter Jackie. The unique voice and image provide a major challenge and all made more intense by the fact that she appears in practically every shot of the film. She leads every scene and even with the likes of the great, late John Hurt and Greta Gerwig surrounding her it’s only her you leave with in your mind. It’s a monumental performance, walking the thin line between hammy impression and a media defined legacy – and here the line is spider web thin. The film’s seductive cinematography drags you in and locks the door behind you. Trapped in a White House with walls that seem to be steadily closing in. Flashback sequences remind us of the brutality of the murder without sensationalising. We experience the grizzly nature of the President’s killing most effectively as Jackie wipes away the evidence from her face and clothing, a sinister second layer that has formed over her immaculate make up. Having been blown away by Micachu’s eerie score which elevated Jonathan Glazer’s Under the Skin it is hard to admit that I was deflated and confused by her contributions to Jackie. Dreary drones plague the film throughout and quickly lose their impact. In its finest moments, the film swells with the contrasting sounds of the musical Camelot from 1960 and this doesn’t gel well with the rest of the film’s over ambitious score. Jackie may very well benefit from a second viewing but certainly, on first impression, it’s a work of substance that leaves you with a lot to chew over.